We Need Your Help to Fight Hunger! 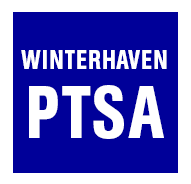 Please join the Winterhaven Community for a FALL FOOD DRIVE. Items can be dropped off in the front lobby in large green bags from Friday, December 2nd through Tuesday, December 13th. This drive goes to the Portland Food Project (http://www.portlandfoodproject.org/), who provides reusable, green donation bags to members of the community, creating a network of long-term food donors that help supply food to local pantries in the Portland area. Please bring in any non-perishable food items to donate, and help fill as many green bags for them as we can! Questions? Email Shelley Fluter Norris (Winterhaven Community Service Committee) at tasar541@msn.com, or Mary Notti (Portland Food Project) at mary@solnett.com.